New report maps attack behavior after the initial exploit gets dropped on a machine in a victim organization. Targeted attacks that go after a company itself from the get-go actually remain relatively rare: Most malware infections are bulk attacks that cast a wide net, the report says. Some 85% of the attacks that hit the victim organizations in the study were opportunistic, and 15% were targeted. Two percent of the machines hit in opportunistic attacks were spreading bot malware to other machines in the victim organization. "The good news is that in some sense, this reduces the race-against-the-clock kind of panic. If every infected machine inside your network could potentially lead to 40 million credit card numbers exfiltrated, you have to treat everyone with a kind of panic mode. [Organizations] quickly become exhausted with" that approach, says Oliver Tavakoli, CTO of Vectra Networks, which yesterday published the Post Breach Industry Report examining what happens once the bad guys infect a machine. 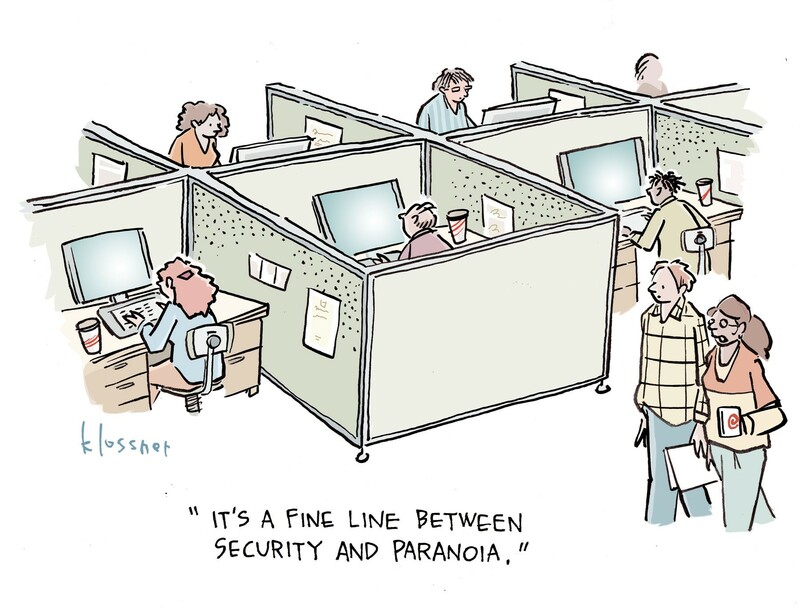 "We're realizing that the majority of what we run into is stuff that's part of a botnet. If you don't catch it in the next hour [or so], it will send another [round] of spam, coin and other bitcoin, or ad-click, but it's not the end of the world," he says. This also gives incident response teams a little breathing room to dig deeper into other malware infections, specifically ones that involve critical business processes or systems, Tavakoli says. Vectra studied some 100,000 machines over five months at companies of various sizes and industries, such as financial services, legal, education, and technology, for the study. 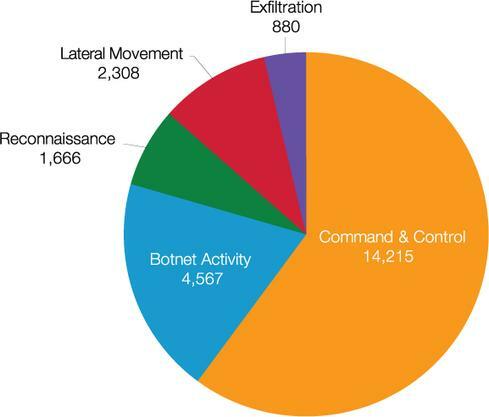 More than 11,000 of those machines suffered from one or more attack, and 10% of those experienced two or more phases of attack, meaning the malware went to the next level of botnet monetization, command and control communications, reconnaissance, or data exfiltration, according to the report. TK Keanini, CTO at Lancope, says the report findings reflect the shift in today's cybercrime and cyber espionage worlds to more "modularized" attacks. "An attacker doesn't need to scan the Internet anymore. They can do a lookup on Shodan" to find vulnerable systems on the public Internet, Keanini says. "And they don't have to compromise credentials. They can buy them on the black market. "Those things change the dynamic of the attack a bit" to a less labor-intensive and streamlined approach, he says. But even solely bot-infected machines often eventually get hit with more malware and graduate to a more pressing problem to the organization. So triaging entails prioritizing infected machines, experts say. "How we prioritize depends on many factors... the criticality of the business, and where the [infected] machine sits in the business, all those things would come into the assessment," Keanini says. Malware sneaking past perimeter and other defenses has become inevitable today. "We know stuff gets into enterprises all the time," Vectra's Tavakoli says, and botnet-type platforms and command and control are at the root of attacks." "The base of the pyramid is the botnet and the tip is the targeted stuff," he says. Seven percent of the infected machines in the study had both botnet and data-exfiltration capabilities, which could signal stolen credentials being used laterally across the infected organization, or other organizations, the report says. "When the first malware comes on and phones home, it says here's the actual software it wants to install. So if you catch it really early, you can tell what it intends to do," he says. "In general, you want to catch things as fast as possible." Brute-force password attacks were the most common way attackers moved laterally in the victimized companies. This also often can indicate an early stage of a targeted attack. "I can infect with an exploit or steal credentials and let 'the user' essentially log in," Tavakoli says, which is a stealthier way for the attacker to make his move. Tom Bain, a senior vice president with CounterTack, says the report shows how brute-force password cracking and SQL injection are still the most popular attack methods for initial exploits. "They are the two most common attacks to be able to establish a beachhead in the organization or to open a door and to find that one host that might be susceptible," Bain says. And lateral movement is "the scary part" of the attack phase, he says. Agents allow lateral movement through networks, not the other way around. They build passwordless and cleartext trust relationships. It's backwards logic. How to improve security is indeed a top concern for CIOs, CTOs, CISOs and, ultimately, CEOs. That's why renowned information security gurus and providers will bring their latest thinking to hundreds of senior executives focused on protecting enterprise and government assets at Cyber Security World Conference 2014 New York City on November 21. Data from agents on systems could be ultimate way to catch all kinds of lateral movement. Adding yet another appliance to the network is not the solution.